“What?” I smiled a little, knowing what was coming. This little adventure started about 2 hours earlier when my son Garrett (age 16) broke his arm. I had a call from the school just at the same time they let out for the day. Dallas Worthington, the history teacher was sitting with him in the school office. “Garrett was walking up the stairs, turned to look at one of the girls and lost his balance,” said the teacher. It’s always a girl with Garrett. Girls fill his mind 99% of his waking hours. I’m amazed how he can squeeze the rest of the world into the remaining 1%. But when most parents hear their son fell for a girl this isn’t what they expect. Especially considering Garrett is one of the best athletes and most coordinated at the school, but then again he is a teenager. The skin wasn’t broken but I could tell the arm was. My heart just broke. My son is almost 6 feet tall and can grow a beard (almost) but he is still my baby. We drove to the hospital, Garrett with an ice pack and an obviously broken arm. I warned him to do everything he could to keep his fangs in his head. Pain tends to bring out the teeth and even a growl or two. We can’t risk that. My husband Teddy showed up with his uncommon good looks and all of the female staff in the place have to come take a look at him. Clara (age 13) was with him with her backpack and looking curious at all the hospital activity. 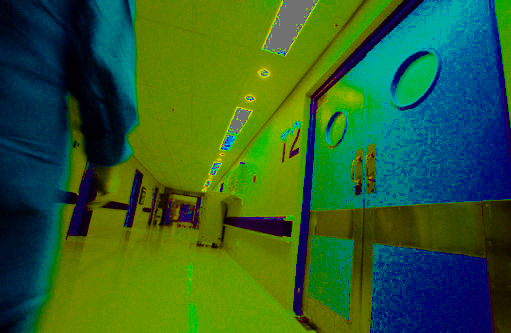 It isn’t often we (Vampires) go to regular hospitals. 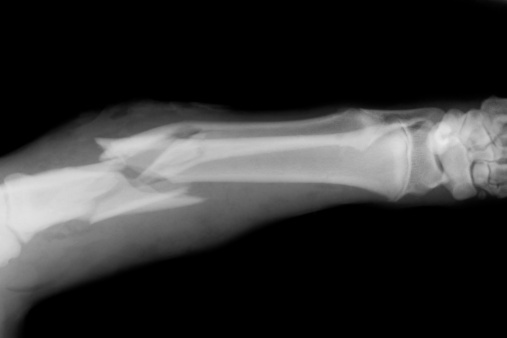 We usually take care of our own medical needs but a broken bone needs to be set correctly, especially when it broken bones and compound fractures no less as in Garrett’s case. Vampires heal quickly but when a bone isn’t set right there are always problems. Going to a hospital or any sort of place where I’m physically checked makes me feel like I’m a spy in a war zone. But the fact is that I live with these people. They can help me. I need them, but I can never let them know I am not one of them. I can never be one of them. My children will never be one of them. They think they can understand us but most of them couldn’t comprehend the idea of a real Vampire anymore than they could a little green man from space. Luckily Garrett didn’t fall on his head and only messed up his arm. The idea of discovery is worse than the idea of bodily harm. Any testing on the head (teeth) could have end badly. If our teeth are retracted we’re usually safe, but teens can have problems when in pain. Dr. Sarah Montgomery, a nice young woman with an exceptionally blue eyes and big smile took a look at Garrett and calmed all of our nerves. The arm was broken in two places. It would take 6-8 weeks in a cast. OK we were told 6 to 8 weeks but I knew it would take 3 weeks but didn’t say anything. More women came by the check out Teddy. He did more than the required amount of flirting, causing great amounts of giggling and blushing. Clara asked a lot of questions about being a doctor and working in a hospital. Garrett sat glued to my side as I held his hand in mine. I called our regular (Vampire) doctor who was unavailable, so young Dr. Flint stopped by to see us. He was tall and lanky, sandy haired and super friendly. He also knew that we were different. He knew we were not just a scary movie myth. We were the real deal. So back to the doctor’s questions…. “Those things happened.” I said quietly not wanting to go into detail. “My wife has always been a Vampire.” Said Teddy, answering the young doctor. “I’ve been like this since 1876, the night of the Centennial celebration. It wasn’t by choice.” Teddy always has to add that it wasn’t by choice. “I’m 16” answered my son. “Garrett is 16”. I added feeling overly protective. “Clara is 13”. “We’re not lab rats.” said Clara. Teddy tried to hide a smile. “Can we do this another time?” I ask the doctor. I knew Teddy and I could make Dr. Flint forget he ever saw us or knew we are Vampires. We all thanked her hand took Garrett home with enough pain pills to last a week and a new lime green cast for all his friends to sign. As for Dr. Flint…I’m sure we will see him again. I know for a fact that the curiosity about us is driving him crazy. I should set up a time soon…I might even have him for lunch. Don’t try this at home…or anywhere else. This entry was posted in family, Gothic, Parenting, Teens, Vampire, Vampire moms, vampire teens, Vampires and tagged broken bones, family, healing, it's always a girl, moms, parenting, teens, vampire discovery, vampire doctors, vampire family, vampire mom, Vampire teens. Bookmark the permalink.